While 2016 hasn't been the best year for a plethora of reasons, December is shaping up to be a pretty great month. One of the reasons for that is that the Hamilton Mixtape finally gets released on Friday, Dec. 2, and having heard several of the tracks already, I can confirm that's a very good thing. Which is why news that fans will be able to listen to the Hamilton Mixtape live this Thursday is helping make December the month to beat. 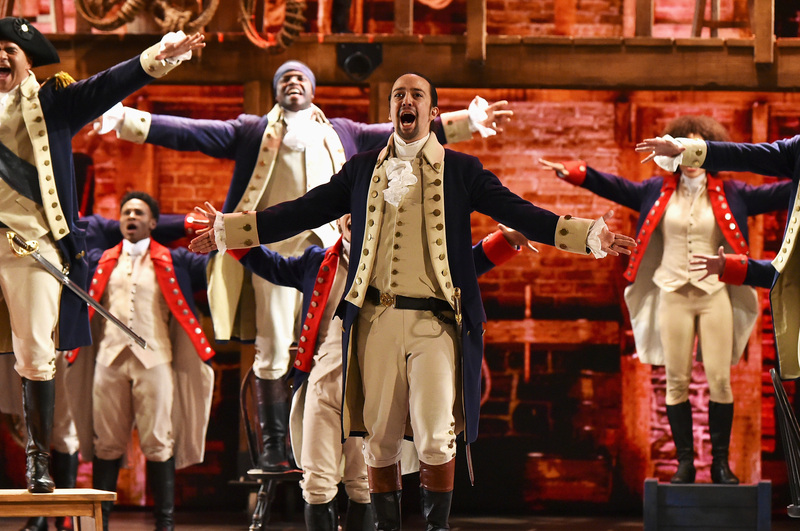 So how can you hear to the Hamilton Mixtape live? Clearly, everyone needs this in their lives. According to an Atlantic Records press release, there will be a livestream of the Hamilton Mixtape concert on Thursday, Dec. 1 at 1 p.m. EST, which sounds like a romantic date to me. Even better is the fact that the performance is being filmed live on the Hamilton stage at the Richard Rodgers Theatre in New York City. It also sounds as though a whole host of celebrities, who have recorded songs for the album, will be there, as the press release details that the "exclusive event will include performances from artists from the highly anticipated" Hamilton Mixtape. So the most important question has to be, how can everyone watch this immense event when it happens? Look no further than the Hamilton Mixtape livestream on YouTube, below. There's even a nifty countdown until it begins. It's easy to find the Hamilton Mixtape livestream, as it's available on the official YouTube channel for Hamilton: An American Musical . Clearly, everyone involved in this endeavor is extremely excited, the caption describing the video as, "An unprecedented #Ham4Ham to celebrate the release of The #HamiltonMixtape featuring artists from the album." Obviously, it'll be incredibly exciting to find out which artists will be performing for the livestream, seeing as the album features such an amazing selection of award-winning performers including Kelly Clarkson, Sia, John Legend, and Ashanti, to name but a few. If you don't manage to watch the video live, don't worry, as it will remain on the Hamilton YouTube channel, along with all of their other very special #Ham4Ham content. And if you needed any more convincing to order the Hamilton Mixtape immediately, Thursday's livestream has got to be it.